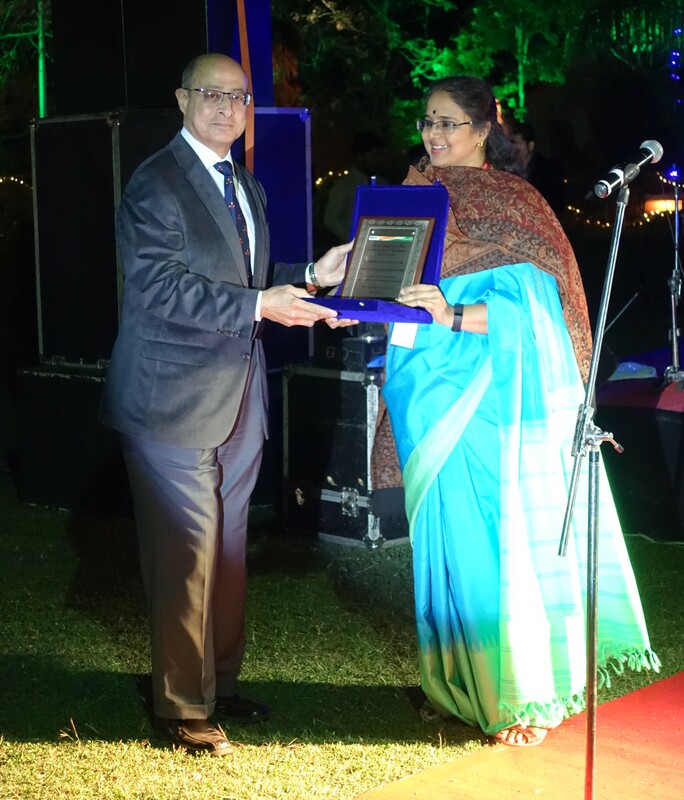 On December 19, 2017, Professor Vasanthi Srinivasan of the Indian Institute of Management, Bangalore, and president of the Indian Academy of Management (INDAM), presented Farok Contractor, Distinguished Professor at Rutgers University Business School, with a Lifetime Achievement Award at a dinner ceremony during INDAM’s 5th Biennial Conference December 18–20, 2017 in Indore, India. 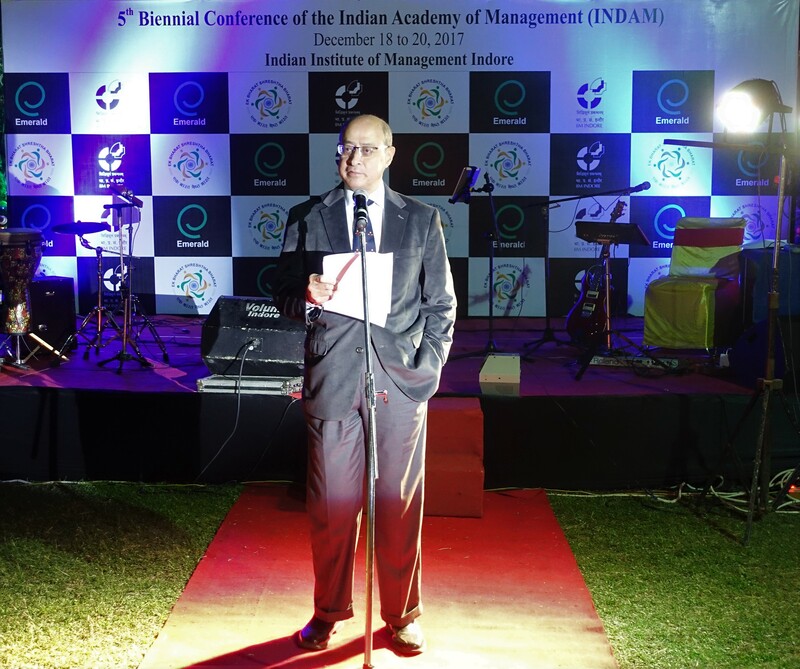 INDAM, a branch of the US-based Academy of Management, conferred the award “In recognition of achievements and contributions to management research.” Dr D.M. Pestonjee of Pandit Deendayal Petroleum University, Gandhinagar, was likewise honored at the dinner. 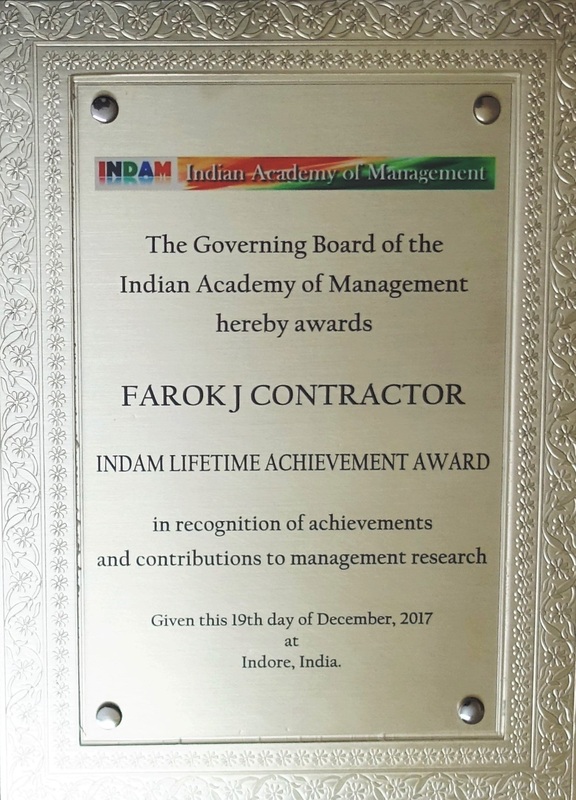 In Reflections on Receiving a Lifetime Achievement Award, Farok looks back on his early career as an industrial engineer, why he became an academic, and three major waves of change in International Business. Also see article in the Free Press Journal and INDAM’s Facebook page. Rutgers will also be publishing a notice in its upcoming newsletter. 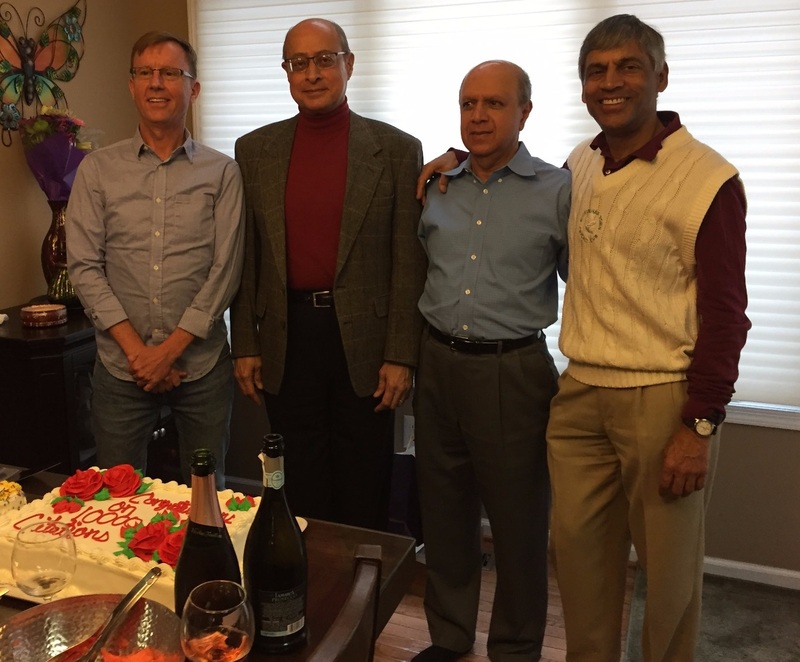 Jonathan Doh of Villanova University School of Business and Arvind Parkhe and Shreeram (Ram) Mudambi of Temple University Fox School of Business. 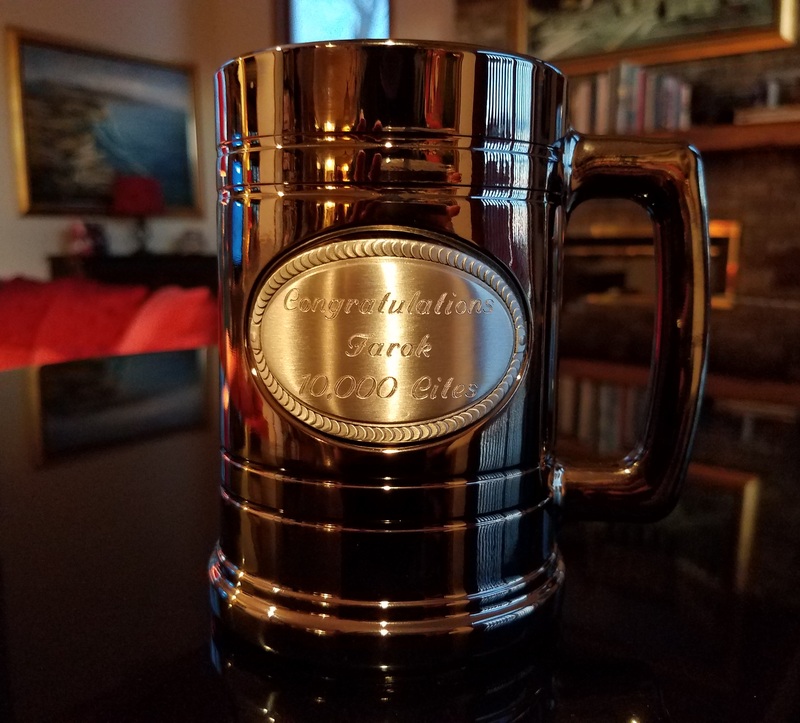 Congratulations to all, and especially to Farok!